In this guide we’ll take a look at the best monoculars for bird watching. What Is The Best Bird Watching Monocular? When you’re ready to splurge on a high-end monocular, Bushnell’s Legend Ultra is an excellent choice. Featuring HD clarity, a beautiful design and durability, this monocular will likely last forever. With 10x magnification, fully multi-coated optics and 100% waterproof and fogproof construction, this monocular has it all. Great for glasses wearers, the eyecups are completely adjustable making for easy customization. Bushnell includes a convenient carrying case with belt clip for easy toting. Because this model is a bit more costly, it’s great choice for those serious about the hobby. The Vortex Optics Solo Monocular is slightly pricier than some competitors, but it’s a favorite for good reason. The monocular magnifies up to 10x and weighs only 9.9 ounces. The resolution is superb, and the lenses are fully coated. If you wear glasses, the adjustable eyecups make customizing your monocular a breeze. And not to worry, the monocular is completely waterproof, fogproof and shock proof. Vortex keeps the user experience in mind, offering the best features and accessories to make bird watching enjoyable. The monocular comes with a multi-position utility clip, neck lanyard and convenient carrying case. At a slightly more expensive price point, I recommend this model for birders of all skill levels. The high-powered Wingspan Optics Explorer Monocular provides a bright, clear image and is ideal for daytime use. Features include single hand focus, and the monocular is waterproof and fogproof. 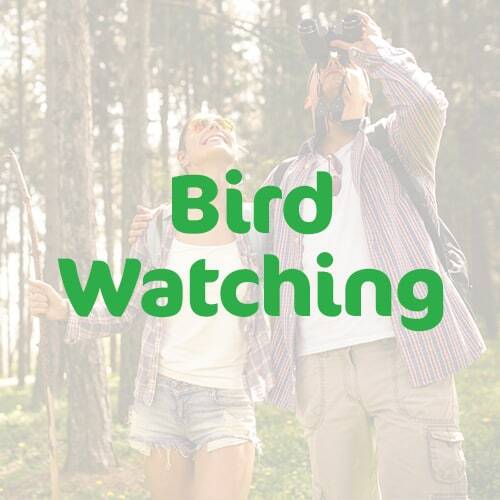 Best of all, users can view birds up to 1,000 yards away. The armor is rugged and durable, ensuring you’ll be using and enjoying your Explorer for years to come. In addition to the monocular itself, the Explorer comes with a nylon mesh carrying case, along with eyepiece and lens covers, so your monocular will be safe and sound even when it’s not in use. Wingspan even includes a non-abrasive microfiber lens cleaning cloth to ensure you get the best views. At such an inexpensive price point, Explorer is my favorite budget-friendly monocular. Compact, waterproof, fogproof, and shock resistant, the Wingspan Optics Outdoorsman Monocular offers clear, vibrant views and magnifies up to 8x. I love this lightweight model, which weighs in at 11.6 ounces. It’s durable and guaranteed for life. The adjustable eyecups are ideal for birders who wear glasses. The Tracker includes a convenient carrying case that easily attaches to a belt. It also includes a tripod adaptor, lens cover, lens cleaning cloth, shoulder straps, and four eBooks. Wingspan is so certain you’ll love their product that they include a 30-day money back guarantee. You’ll also love that it won’t break the bank. 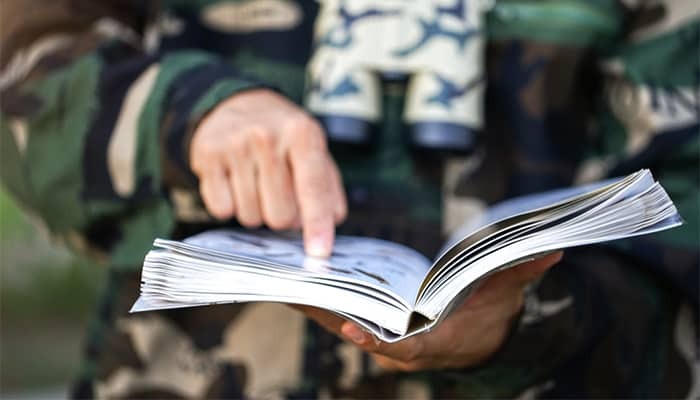 Bird watchers of all skill levels know the right tools are an essential part of birding. 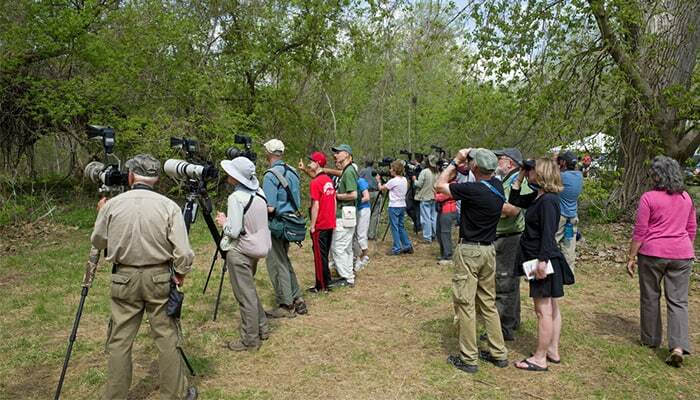 If you spot a fellow birder out in the field, he or she will likely be toting binoculars and a field guide. There are times, however, when carrying cumbersome bins isn’t practical. 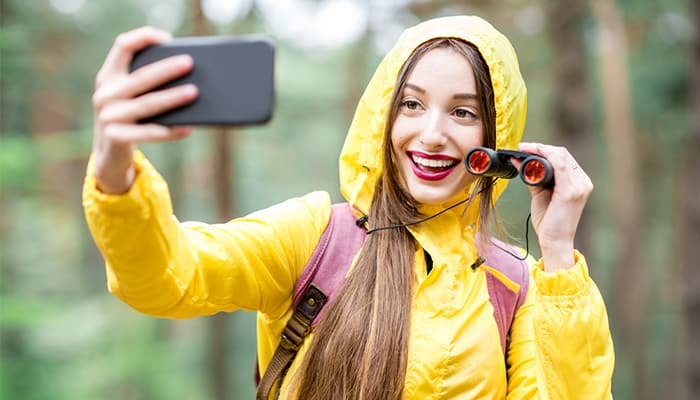 Whether you’re running errands or enjoying a day out with family or friends, having a monocular in tow will allow you to spot nearby birds without the burden of heavy equipment. If you’re overwhelmed by the many options on the market, you’re certainly not alone. Read on to find out everything there is to know about the wonderful world of monoculars, and which type is right for you. There are two main types of monoculars: porro prism and roof prism. Let’s take a look at the pros and cons of each version. Both types have their own unique inner geometry, as well as benefits and drawbacks. You’ll likely recall seeing traditional binoculars with this type of prism. Monoculars and binoculars with porro prism are thinner at one end of the barrel and grow larger towards the opposite end. Light travels through only four reflections inside the prisms, allowing for a vibrant view. Pros: Ideal for the budget birder, porro prism monoculars are typically much more affordable than their roof prism competitors. It’s easier for manufacturers to produce porro prism monoculars with good picture quality and brightness. Cons: Porro prism monoculars are not as durable as the roof prism type. It is much more difficult to keep them adjusted. Additionally, many of these monoculars are not waterproof. This type of monocular has straight barrels and typically has a better quality of build. The light must make its way through six reflections inside the prisms, so some light is lost. Pros: Roof prism monoculars are generally more compact and lighter weight, and waterproofing is an easier process. Cons: These monoculars tend to be more expensive, and they lose more light because of their additional reflections. When scoping out monoculars, take notice of the magnification options. The power typically ranges from 5x to 10x. You can choose between a fixed zoom or variable zoom. If you opt for a variable zoom, you’ll have the ability to adjust the zoom with a built-in dial. Higher magnification makes for clearer images while limiting field of view. Lower magnification expands the field of view while sacrificing close-up details. This is important to consider when choosing a monocular for birding. While shopping for a monocular, check the “exit pupil,” which determines the image’s size at the focusing point. The higher the exit pupil, the easier it is to keep your eye on an image. Be sure to shop for a monocular with your preferred features in mind. Many monoculars are waterproof, while some are not. Decide if you are keen to have a rubberized body or coated lens. For bird watching, close-up views are often a priority. Consider all of these factors before making a purchase. Because differences in birds can be subtle from a distance, you’ll need a monocular that delivers great clarity and detail. I recommend 10x or 12x magnification for the best birding experience. Bird watching is often a day long adventure, and heavy equipment can take away from the experience. Opt for a monocular that’s lightweight and can easily be carried in your pocket or bag. If it’s weighing you down, you’ll be less likely to use it. When picking out a monocular, check out user reviews. Your ultimate choice should be a monocular that will last regardless of weather conditions. Look for models that are waterproof, fogproof, dustproof and shock resistant. The tips above can be applied to binoculars, as well as monoculars. Before your next bird watching outing, I hope you’ll find a monocular you love. Do your research and test out various options in person, if possible. Just like with binoculars, one size doesn’t fit all when it comes to monoculars. 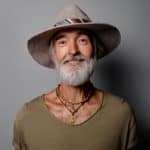 With the tips listed above, I’m sure you’ll find a model that meets your individual needs. Hey, I’m Jonny! Thanks for checking out my guide to Monoculars 😀 I’ve been an avid bird watcher for well over twenty years, and it’s taken me to some truly wonderful places. As a hobby, I can’t recommend it highly enough, so get out there and enjoy nature at its finest.